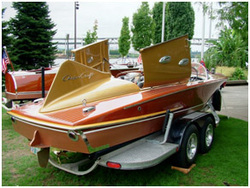 Whether it’s a Chris Craft, Hacker, Garwood or Century we have worked on them all. From minor repairs to show winners, pre war to post war, our knowledge and connections in the business is what we take great pride in. 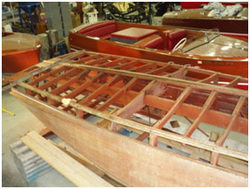 When a restoration candidate arrives at Maritime Classics, we evaluate the boat for signs of structural wear-and-tear, serious or hidden damage, non-originality, etc. 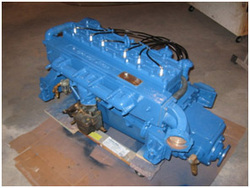 At the same time, research begins to determine what items were original and what it will take to give your boat a new life.